We don’t have exact data on how pervasive child slavery is in Ghana, but we can’t accept harmful child labour as normal. 1 Apr 2019 – That Africa and Africans are often misrepresented and stereotyped in Western imaginations is not new, or news. From the many lazy and insulting depictions of Africans in Western cinema to respected academic publications that overgeneralise and cast Africa as backward, negative representations abound. Africans’ desire to correct these depictions can be strong and the reasoning behind it is often valid, but when these attempted corrections end up minimising real problems, we must pause and think about what it is really that we are doing. In our push for more realistic representation, are we overlooking or hiding the suffering of our fellow citizens? Are we bringing much-needed nuance to bear in order to address problems adequately and hence find lasting solutions, or are we excusing harmful practices by declaring them “cultural”? These questions have been brought to the fore by a CNN documentary about “child slaves” in Ghana released in late February, which prompted Ghanaian politician Betty Mensah and academics Samuel Okyere and Kwame Agyeman to write an op-ed published by Al Jazeera criticising its assertions. Their rejoinder states that there is “no pervasive child slavery problem in the area” and that “complex social issues” have been misconstrued. I understand the politics around Western versus local Ghanaian standards, media representation, and the importance of cultural context that motivated Mensah, Okyere and Agyeman to make this important contribution to this conversation. However, I am concerned about how parts of their article dismiss the severity of those problems in their attempt to set the record straight. They raise important points such as the tendency of international NGOs and Western media to resort to “sensationalism and melodrama” in reporting African stories. But in doing so, they also end up dismissing the urgency of Ghana’s problems with child labour, child trafficking and yes, child slavery, especially as it relates to the Volta Lake area. In addition to declaring that child trafficking and child slavery is not pervasive in the Volta Lake region without convincing data to back this, Mensah, Okyere and Agyeman come across at certain points in their article as treating cases of abuse lightly under what they refer to as “tutelage agreements”. The lack of accurate data to track instances of child slavery, child labour, child trafficking and other issues around the region is one of the problems here, and the Ghanaian authorities must work harder to accurately identify each child in that area and to record the conditions under which each of them lives. Until each child is identified and tracked in order to ensure their safety and well-being, we will never know just how pervasive (or not) child labour, child trafficking and child slavery are in that area. Anti-Slavery International, a UK-registered charity, states that “child slavery is often confused with child labour, but is much worse”, explaining that whereas child labour “is harmful for children and hinders their education and development, child slavery occurs when a child’s labour is exploited for someone else’s gain”. These discussions of the terms often acknowledge that there are cultural variations in whether or not children are expected to help parents in their economic activities or with household chores, but there is consensus that the activities that children do must not put them at risk of harm. While there may be disagreement on whether and how children should be expected to help with household chores, we certainly can all agree that children should never have to exchange their labour for basic sustenance. Mensah, Okyere and Agyeman allude to the issue of cultural context in their discussion of what “constitutes sale” of children and child slavery. While it is true that in many cultures across Ghana, children are often expected to help their parents or guardians with chores, in contexts of poverty this often moves beyond helping to the expectation of earning a living. It is poverty that drives parents to exchange their children for money, and once a person is exchanged for money with the expectation from both the giver and receiver that said person is in bonded servitude and is not free to return to their homes, what better words exist to describe these acts than “sale” and “enslavement”? But there are no easy villains in this story. Many of the parents of these enslaved children live in abject poverty and may feel forced to take these relatively meagre amounts of money in exchange for sending their young children far away. The fisherfolk who take on children to work for them are often not well-off either. There are also other factors that contribute to increasing poverty in Ghana in general and in the lake area in particular. 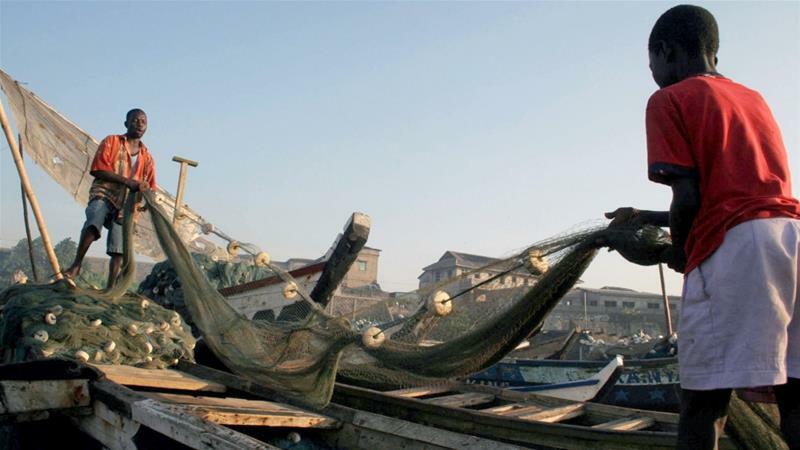 Unchecked liberalisation of markets has aided the entry of high-capital foreign operatives into the fish market, making it harder for subsistence fisherfolk to keep up. Climate change and pollution of local water bodies have had an effect on the availability and abundance of fish. All this causes hardship that results in parents giving out their children into bonded servitude and leads small-scale fisherfolk to seek cheaper labour. One of the NGOs on this issue in the Volta Lake area, Challenging Heights, is headed by a Ghanaian man who was formerly enslaved. Organisations like these often try to raise money to liberate children and to help mothers with loans and training in an attempt to prevent them from exchanging their children for money. I agree with the authors that NGOs often make harmful and sensationalised claims about Africa with a Western audience in mind, but insisting on adding nuance to the narrative should not obscure real suffering. An overarching issue here is not individual culpability or culture, but poverty and the failure of the Ghanaian state to adequately address it. The ruling elite and many middle-class Ghanaians frequently invoke and weaponise “culture” to justify why poorer Ghanaian children should be compelled to do back-breaking work under hazardous conditions when they would never accept the same for their own children. Culture is not static. If we want, Ghanaians can build a new culture which protects the most vulnerable among us. We must have national conversations on what constitutes an acceptable childhood for all children in Ghana, and governments, civil society and well-off Ghanaians must do the work that is needed to lift the most vulnerable to that acceptable level. Children should never be in a position where they have to work to earn a living. When this happens, the nation has failed them. Mensah, Okyere and Agyeman are right that powerful international organisations and media companies must be challenged when they distort narratives or ignore local context. However, we must be careful not to let invoking nuance and cultural context get in the way of minimising harm. In the Volta Lake area in Ghana, it is poverty that has enabled harm and abuse, and poverty is not our culture. 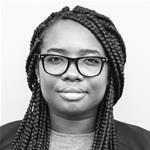 Kuukuwa Manful is a Doctoral Researcher at the Department of Politics and International Studies of SOAS.